The New Year is upon us and with it the surge of resolutions for 2017. We can’t help but notice the increase of reels and inquiry calls coming our way; no doubt the cause of resolutions in action! Namely, to get the agent you’ve been looking for. To help out here’s a shortlist of key steps we think you may need to approach a London voice over agency. Or, at least, how you should approach ours! Wait, a London Voice Over Agency? First thing’s first, consider where you are based, and therefore which agents to approach. If an agency classifies itself as based in London, chances are high that they’ll only be accepting artists either based in or around the same area. You’d be surprised by the amount of international talent which applies regardless of this fact. 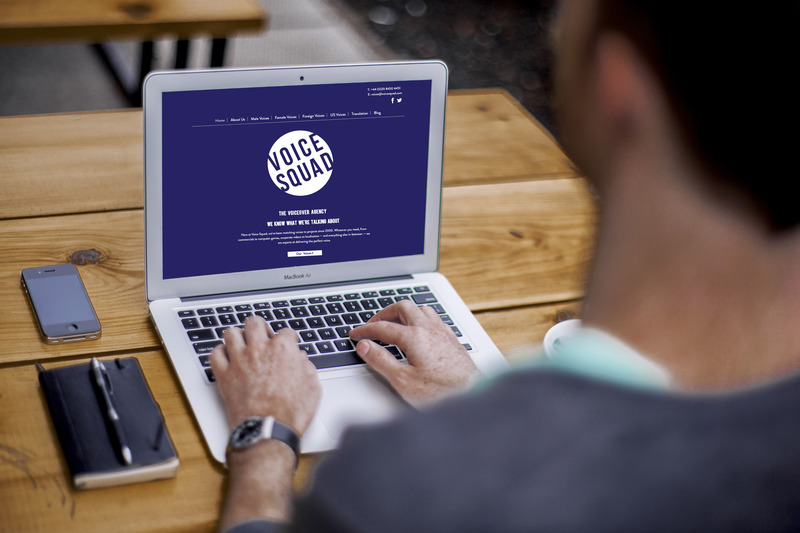 For us here at Voice Squad, as a London voice over agency, we need artists based here. Largely this is due to the majority of our clients being based here, too. It’s important to be able to send artists to their studios reliably and speedily. They wouldn’t book an artist based internationally or regionally and pay an additional studio cost if they can get a local artist to come into their own studio. Sure, there are exceptions with international clients – but they still request artists to record in London, as opposed to the countries which they’re emailing from! If you’re not based in or around London, take to google to find out if there are agencies, or specialised businesses, in your area which may better suit your interests. Unfortunately, a nice voice is not the be-all-and-end-all of voice over work! It’s important to have a toolbox of skills, and as such at Voice Squad we predominately look for trained actors. This allows for a base-level of understanding in technical terminology, as well as the knowledge of how to be adaptable, take direction and utilise elements of the craft such as projection and enunciation. All are elements which come in handy from ELT to ADR to commercials! Consider brushing up your skills with workshops in both acting and voice work as part of your resolution to approach agents. It’ll keep your skills fresh and show you’re not afraid to put in hard work to keep current. Moreover, having experience within the field lends credit to your name; whether that is a great repertoire in theatre or film or a CV boasting work in voice over. It’s important to show that while you’ve learnt skill sets through training, you’ve also had time to harness and finesse them in a professional context. That’s not to say we wouldn’t listen to and consider a graduate, but it certainly does help to have a catalogue of experience. After all, first impressions last in the voice over world, so it’s important to put your best foot forward. Needless to say, when approaching a London voice over agency, it’s integral to follow their individual guidelines for submission, and have a voice reel which supports your sound. We’ve already written about this in the past, so we highly recommend taking another look at our suggestions before you take the plunge. Don’t forget: you’ll want to show the agent what’s unique to you. Know multiple languages? Mention it! Have a home studio, or a background as a musician? Travelled extensively to pick up accents first hand? All are fantastic things to mention when applying to an agent, so don’t forget to include them in your cover letter and CV. If you keep these elements in mind while approaching your chosen target (and particularly if it’s a London voice over agency), then you’ll be sure to be putting your best foot forward.